Happy Tuesday morning! Today I have a super fun card to share with you using the From the Herd stamp set. Is this not the cutest card ever?! I can't take credit for the design, we made it at my upline's (Winona Semler) Diva Day on Saturday. Such a great way to use this set and not have to color in all those cute little animals. Another great thing about this card, is just how quickly you can whip these up! Want to know the trick? 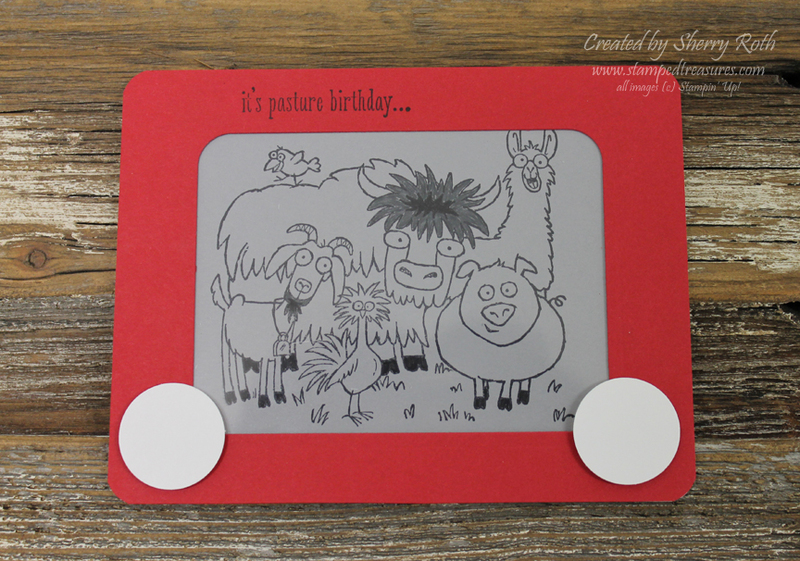 The window of the etch-a-sketch was created using the smaller Project Life card framelit. By using this framelit, you get the nice rounded corners inside!